The longline season is around the corner. 2019 IFQ permits have not arrived. Noaa’s best guess is that they will be online and mailed by the end of this week. I have been tasked with buying more high quality fish from more boats in more places. My experience as a fisherman will help shape our policies to make sense to SPC owners and staff. I have spent the winter talking with owners discussing what problems they have with SPC. I invite all members to visit the office and tell me about their experiences with SPC. These conversations have led to some changes that will benefit the whole co-op. Purchasing: In January the SPC Board approved moving the pool advance from 70% to 80%. I hope that this takes the edge off for a few people and we can get more participation in the pool program. We are looking to buy pounds from owners and non-members. SPC is going to try to be a great cash market as well as an opportunity for SPC owners to benefit from the SPC pool. 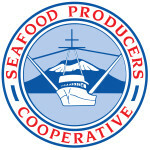 We are updating our custom processing agreements in Yakutat and Seward for longline fish. We are going to try to be competitive in cash and pool scenarios at outports in 2019. Volume: As part of our goal of getting more pounds through the plant, we have come up with a system that rewards fishermen for delivering more of their quota pounds to SPC. We now have a bait discount program in place. There are five tiers of production with the discount growing as your accumulated volume grows. This can be applied to a boat or to a permit holder. If you want to participate in this program, please give me a call and I can explain the details and sign you up. Price: A large part of being a more responsive co-op is our ability to change prices rapidly. I will be working closely with Jeff and Kurt to do our best to be keeping up with the market. There has been no good news this winter about blackcod prices. Expect lower prices across the board for sablefish. Quality: SPC is always working to get the most for our fish. A key component to that is our quality. This is not an easy subject to address. Instead of beating around the bush, I will approach this head on. I am tired of the traditional lecture about quality. In 2019 we will have the same quality and grading standard as in previous years. This year, I am going to attempt to strictly follow our own guidelines. If fish are in a condition that cannot get #1 prices, we will grade accordingly. I have asked our QC staff to bring me down to the grading floor when anything is not up to standards. The goal of our grading is not to punish anyone, it is to protect the reputation and market value of all SPC products. The SPC board voted to make change to our #2 pricing. We looked at our #2 pricing for halibut and sablefish and came to the conclusion that a $.25 cent discount for #2 longline fish was not covering the loss of value. Our #2 pricing on longline fish will be 90% of #1 value. This will get us closer to other processors policies. Overall, this will enable us to pay a better price on our #1 fish. Communication: SPC is upping our game on communicating with boats this year. We have a dispatch phone that rings directly to my cell phone, #2000. I am happy to update you with current prices 7 days a week. I am working on an app that can do Push Notifications to your cell phone for price, season, and tender updates. We should be done with testing by the end of March. Dave Newman will be scheduling longline deliveries. Ice House will be scheduling ice and bait appointments. All of our best contact numbers and emails are below. AIS Beacons: Most people got the notice from the FCC about AIS beacons on fishing gear. The threatened fines are substantial. We have been working with our congressional delegation, NPFMC, and Marine Exchange to try to get the issue resolved. So far, the FCC has not come up with a solution. The USCG said in the February council meeting that they are not enforcing FCC rules this year. I am not giving advice either way. I know many people that will be using them this season. If you want the whole technical story of why FCC has a problem with the beacons, give me a call.